What’s Really Driving Gold and Silver? This week a subscriber shared with me an interesting and well-written analysis. The focus was mainly relative to gold. He wondered if I might shed light on silver – based on similar parameters. First and foremost, I do not deny the complex tertiary dynamics with regard to the movement of physical gold. I am also painfully aware of the secondary technical indicators that arise from the short-term price action. But the primary focus for any discussion surrounding future price must start with how we arrived at the dollar-denominated level we see today, for instance, the price of a derivative that determines the price of its underlying asset. Tail wagging the dog is the perfect analogy for this phenomenon because it encapsulates the absurdity. Any discussion about what’s really driving gold and silver from a short-to-intermediate term starting point must include the conspiracy fact of price manipulation. The analysis below mentions price manipulation, but in an almost apologetic way. They admit it, but give it cheap seat. Both metals, but especially the silver price collapse, could be read in the commitment of traders. These are the entrails of the commercial banks and speculators trading in the futures market. This is true whether this happens to be simply useful, or to manage perception around blatant money printing. It is simply the modus operandi for a legal mechanism (in the case of gold). Or in a highly profitable trade scheme that also happens to enable both the survival and the continual consolidation of financial power. We have evidence of intent, mechanism, and motive. All else that follows is a loose pattern of beliefs that may be entertaining, but that ultimately obscure the reality. “…people prefer assets that are likely to have better yield. Alternatively, if an asset climbs too high and/or too long, the opportunity cost becomes high. On top of that, algorithmic trading is becoming more prevalent. “We, just like everyone who is in some way disadvantaged by algo-based trading, are no fans of this practice. But let’s face it, algorithms have the same driver as the humans that programmed them: they search the markets in search for maximum yield. But that’s not the reality. That’s the fantasy we are choosing to accept in exchange for an even more unacceptable risk – currency. The way it’s done ‘nowadays’ is fragile by definition. We are one little electronic (paper-trading) flash crash away from the full system panic. His suggestion hints at the old, but familiar, connotation that many opponents of manipulation put forth when arguing that it can’t be manipulated when the price goes up. The above analysis takes it one step further in admitting that they are managing it on the upside as well. Essentially it’s the ‘trader’s dilemma’ for all who own any form of precious metals – its analysis applied from the world of paper and gambler’s delight of technical analysis, where there is no place for reality or fundamentals. What upside? The price rise that occurred over the last decade was trampled all along the way. Every rally was (and still is) either capped or reversed. 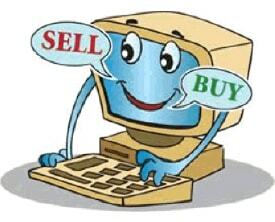 Those who are truly ‘profiting’ are the ones that set the price before and after they trade it. The problem is that allure of profit – no matter what the profit is priced in. With deep enough pockets, certainly it is possible to gamble long enough to see an upside — and then convert any gains into a more stable long term savings vehicle. There is nothing at all inherently wrong with profit, only the vehicle used to denominate that profit. We are addicted to keeping score to the point where we lost sight of the forest. Unfortunately, many a would-be paper silver investor never quite makes it over the ‘physical’ understanding. If gold were truly measured against the amount of fiat created over the last 20-30 years, we would be hard-pressed to recognize its price. It would fall somewhere along the lines of what predicting $1000 gold was like in the 2000, when the price was below $300. It was considered insanity, and yet nowhere close to its potential (natural) equilibrium based on its historic role as real money. The precious metals markets have been actively managed for decades – overwhelmingly to the downside. Paper futures trading evolved into a purely speculative affair between the big commercial banks and managed money funds – both employing either computer algorithm or electronic trading. However, by virtue of its dominate and concentrated position on the short side, the big commercial banks wield ultimate control. This accounts for the entire range of moves going back decades. Silver is a league all by itself. Its long manipulated price has resulted in a severely limited supply. If and when the commercials step away from the paper market, the price will be even more unrecognizable. …nothing will change until the commercial banks decide it. In the meantime, many more traders will go by the wayside, scorning the exposure, never to return again. The irony is that when these markets finally break to the upside – the chaos will be blamed on the HFT computer algos and not the commercial banks that enabled it all. *In addition to running a busy medical practice, Dr. Jeffrey Lewis is the editor and publisher of Silver-Coin-Investor.com, where he provides practical information for precious metals investors”.